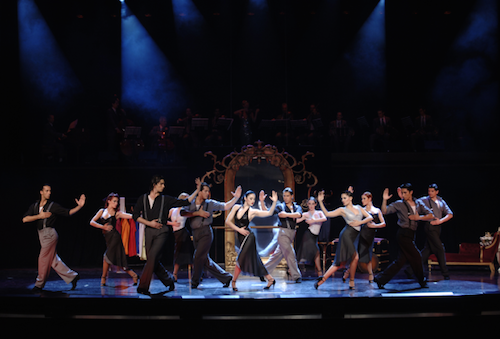 The cultural and economic impact after the Second World War, combined with the social and public acceptance, generated from 1940 to the rise of the tango in Buenos Aires, resulting in a movement culture was termed the "Decade of Gold”. The heyday of Tango was so important and significant that even big sports clubs like River Plate, San Lorenzo, Racing Club and Luna Park, opened its doors to large concentrations of people attending. In Buenos Aires, just a few steps from the Obelisco, Tango Porteño dazzles those who love to discover the Golden Decade. Now the golden decade returns to shine at Tango Porteño. A little more than five decades later, this magical and mysterious time is recreated for you. INCLUDES: TRANSFER AND SHOW NOT INCLUDE DINNER AND DRINKS The show starts at 10:15 p.m. and lasts approximately 1 hour and 15 minutes.